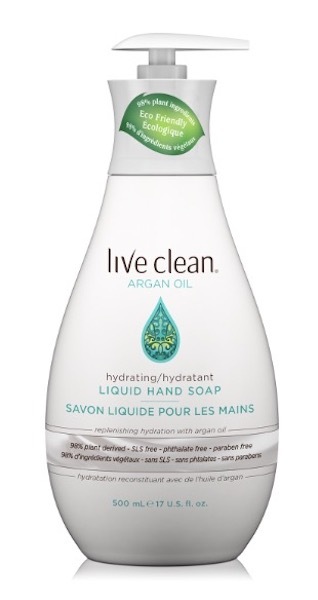 Live Clean® Argan Oil Hand Soap features 100% pure Argan Oil to gently cleanse while it helps to nourish dry skin, while certified organic botanicals of Grape Seed and Olive Leaf Extracts help to protect the skin’s moisture barrier. Directions: Wet hands, apply hand soap and work into a rich lather. Rinse well.